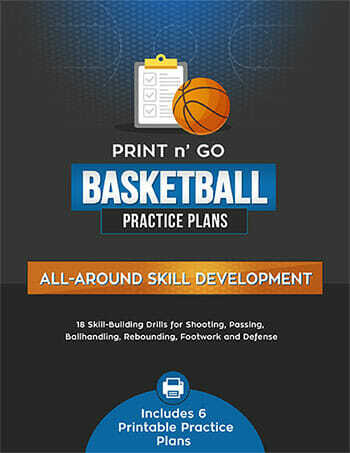 Try these [tag]basketball training drills[/tag] with your team. 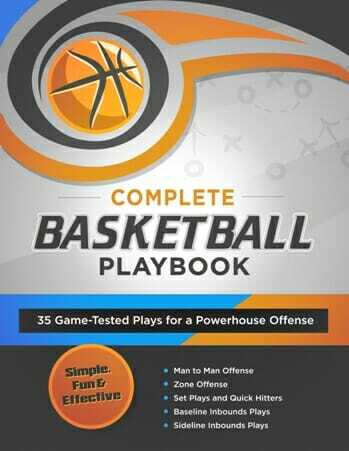 This drill is called TOUCHDOWN and it teaches moving without the ball, setting screens away from the ball, passing and playing defense among others. Depending on how many players you have, I like getting our team split into groups of 3 (some groups may wear pinnies). Let’s say you have 12 players divided into 4 teams. Two teams play while the other two wait on sideline (very little waiting). First team starts on the endline (line of scrimmage) and tries to pass the ball down the court to each other while the other team is playing man to man defense. There is no dribbling. You may pivot, hand off and knock the ball out of hands. If offense can pass the [tag]basketball[/tag] past the opposite end line with a player catching it, it’s scored as a TD, one point. Then other team goes coming back. If defense intercepts, both teams come off floor and next two teams go. 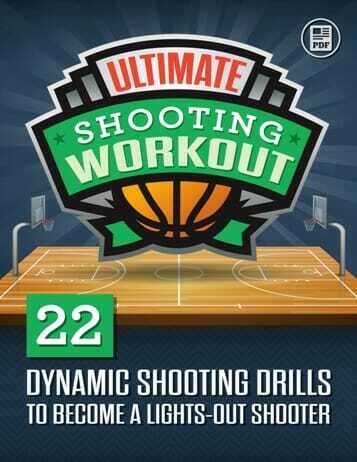 You can also add 1 dribble for each player. If offense can pass the basketball past the opposite end line with a player catching it, it’s scored as a TD, one point. Then other team goes coming back.